Ryosuke Nakai, Takatomo Fujisawa, Yasukazu Nakamura, Tomoya Baba, Miyuki Nishijima, Fatma Karray, Sami Sayadi, Hiroko Isoda, Takeshi Naganuma & Hironori Niki (2016) Genome sequence and overview of Oligoflexus tunisiensis Shr3T in the eighth class Oligoflexia of the phylum Proteobacteria. Standards in Genomic Science, 11:90, DOI: 10.1186/s40793-016-0210-6. 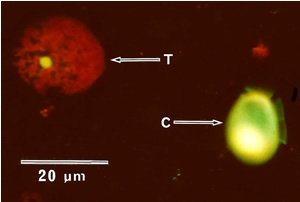 Escalera L, Reguera B, Takishita K, Yoshimatsu S, Koike K, Koike K. (2011) CyanobacterialEndosymbionts in the Benthic DinoflagellateSinophysiscanaliculata (Dinophysiales, Dinophyceae). Protist,162: 304-314. 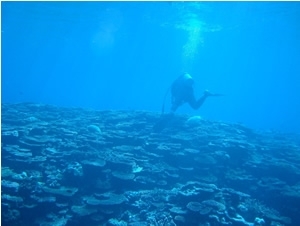 Yamashita H, Suzuki G, Hayashibara T, Koike K. (2011) Do corals select zooxanthellae by alternative discharge? Mar. Biol. 158:87-100.